Did you know we are at our least flexible in the morning? Most really aren't moving our bodies day in and day out and if we are there may be some pain. This series will not only your train your muscles it helps increase your flexibility journey. This can be done in front of your couch, so no excuses! 10 sec rest/adjust between each round. This move is an excellent way to target your upper back and shoulder mobility. 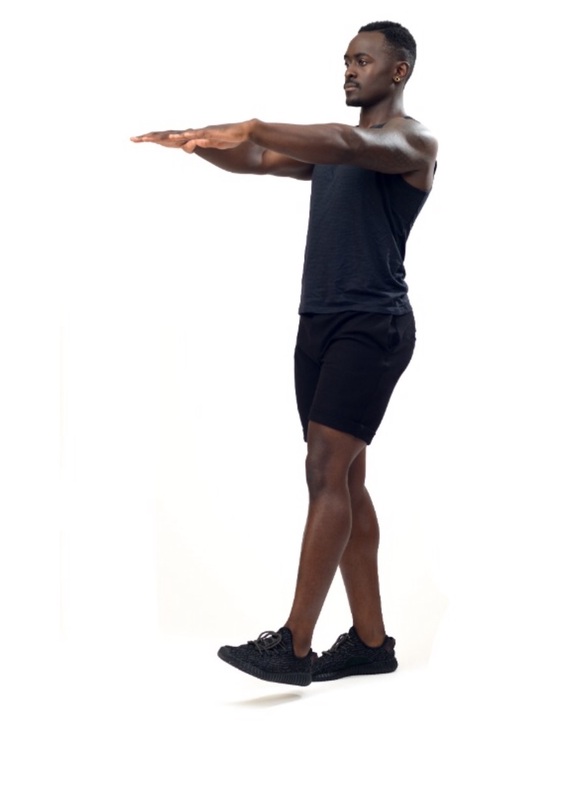 Standing with both feet together, step forward into a lunge and brings arms up to shoulder length. The hips should move forward as you increase the stretch, hold this lunge for a 2 second count then return to the start position. This is a great stretch for not only your hamstrings but your lower back as well. If you have chronic back issues, try lying on the floor and pulling your leg towards you. 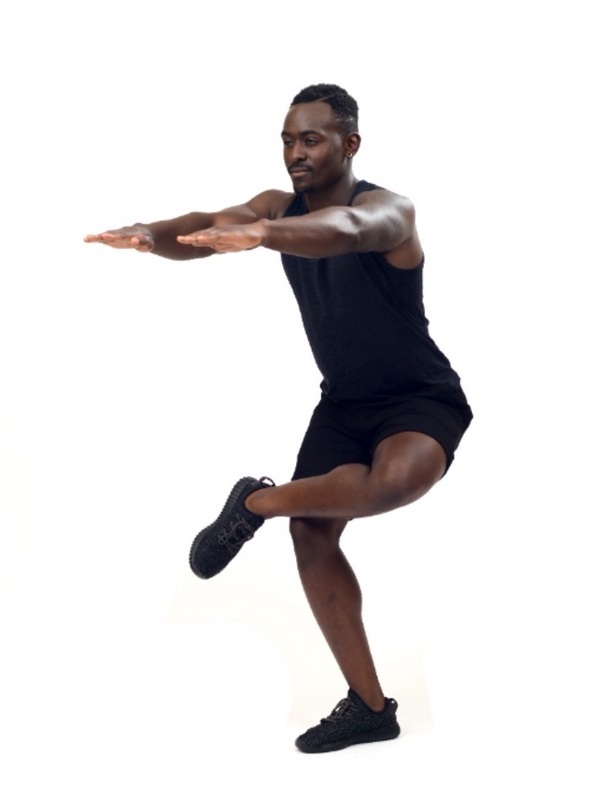 Begin by placing one foot slightly in front of the other, flex your outward foot. Bend foward at the hips and reach toward the flexed foot. Hold for 20 seconds then switch legs. Standing with both feet facing forward and knees slightly bent, bend one knee outward and rest the ankle above the opposite knee. Push back through the hips and put your arms out in front of you, hold the stretch for 30 seconds then switch legs. Stabilize by taking support on a wall or balancing with your hand out front. Start with both feet in front of you and shoulder width apart, swing your outside leg back and forth. Gradually increase your range of motion until you rach a comfortable height. Anytime you twist your trunk you are strengthening and stretching your obliques. Begin facing forward with your feet in front of you, bend your arms as shown and place one hand on top of the other. Twist comfortably while keeping your hips forward, return to the center and repeat 4 times on each side. Stand tall and stabilize on a chair or wall if necessary. Keep feet shoulder width apart and parallel; with a tall back, reach back and grab your right foot with your right hand. Keep your thighs in line and hold the stretch for 30 seconds. Slowly release and repeat on the other leg.